No matter where you choose to stay, the first and foremost question on the mind is… What is there to do when we visit? As a luxury hotel in The Cotswolds, we truly appreciate and know the outstanding natural beauty of the area inside out. The Cotswolds is recognised as an adventure playground for those with a taste for tranquility and towns and villages steeped in history. Here’s is the Lords local list of places not too far from us which we recommend when embarking upon a trip to The Cotswolds. 1. Upper and Lower Slaughter – Explore the peaceful villages surrounding the Lords of the Manor hotel and capitalise on the meaning of tranquility at its very rarest, especially on the famous walk between the two – an hour or so of rural bliss. 2. Bourton on the Water – Stroll on a little further and you’ll come to Bourton on the Water. With a beautiful river running through the centre, this town combines a touch of shopping with sightseeing from Model Village to retro Motor Museum (a great option when the weather isn’t so great). 3. Naunton – Lesser-known in the rich and glorious Cotswolds countryside, Naunton is the perfect spot for an afternoon walk after a long lunch at Lord’s Michelin starred restaurant. 4. Guiting – Another sumptuous stroll, perhaps early evening after our Michelin starred Champagne afternoon tea. 5. Winchcombe – Wander through Winchcombe, another charming town with antique shops and pubs and a glorious walk up to Belas Knap, a Neolithic Long Barrow with amazing views. 6. Sudeley Castle – The home of Henry VIII’s last wife Katherine Parr who is buried within the grounds. Famous now for its impressive gardens. 7. Broadway – often regarded as the smartest of all Cotswold towns with the full works of bars, restaurant, galleries and shops, including an outpost of the Ashmolean Museum. 8. Chipping Campden – Notable for its elegant, terraced High Street, dating from the 14th century to the 17th century. 9. 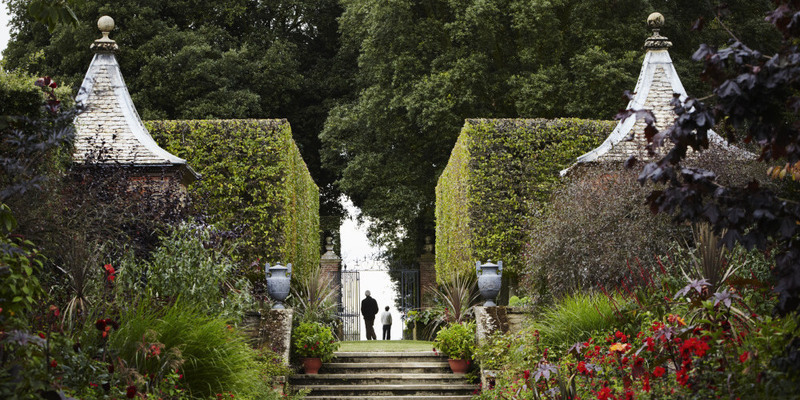 Hidcote Manor Gardens – A flagship for the National Trust, Hidcote Manor Garden is a masterpiece, arranged as a sequence of garden ‘rooms’ – one of the glories of Cotswold life. 10. Stow-on-the-Wold – Plenty of antique dealers and pretty boutiques. 11. Daylesford Shop – Near Stow-on-the-Wold, Daylesford is prime A-list star spotting territory. If you’re struggling to fit them all in or wondering which order to visit them in, fear no more, we’ve got The Cotswold Experience for you! Find out more here.